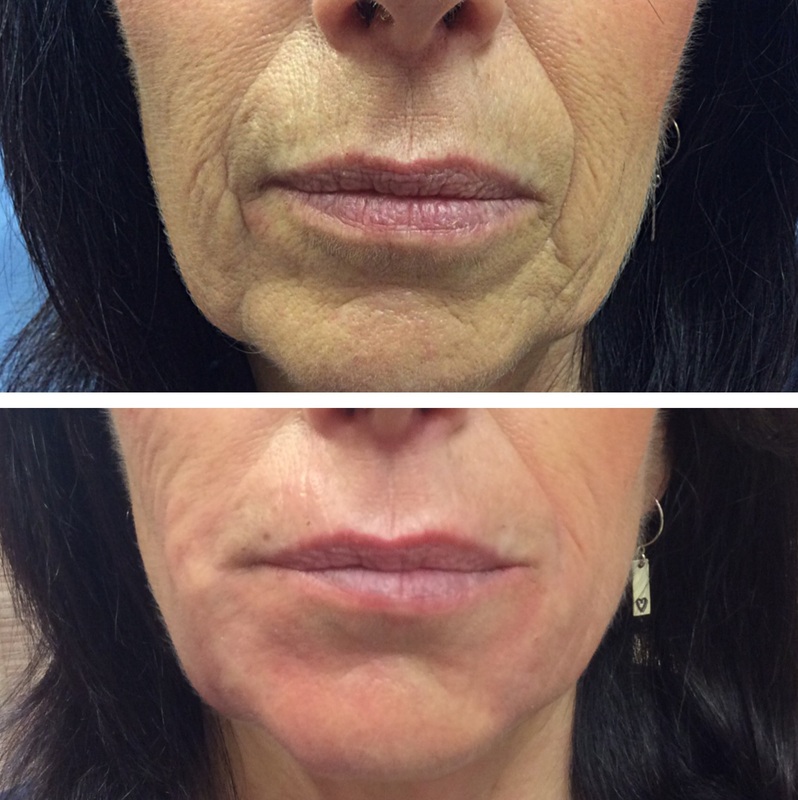 Restylane® Lyft, (formerly known as Perlane), is an injectable dermal filler and is formulated with a biocompatible preparation of hyaluronic acid, which means that it is identical in function and structure to the hyaluronic acid your body naturally produces. 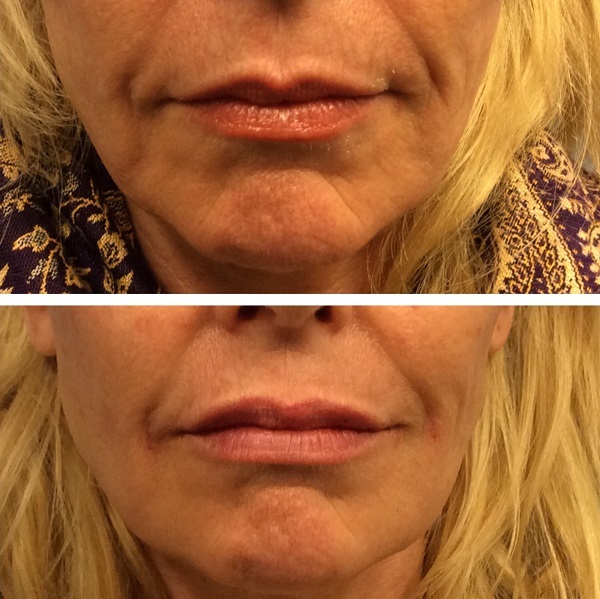 This woman didn’t like the lines and hollows around her mouth and chin area. 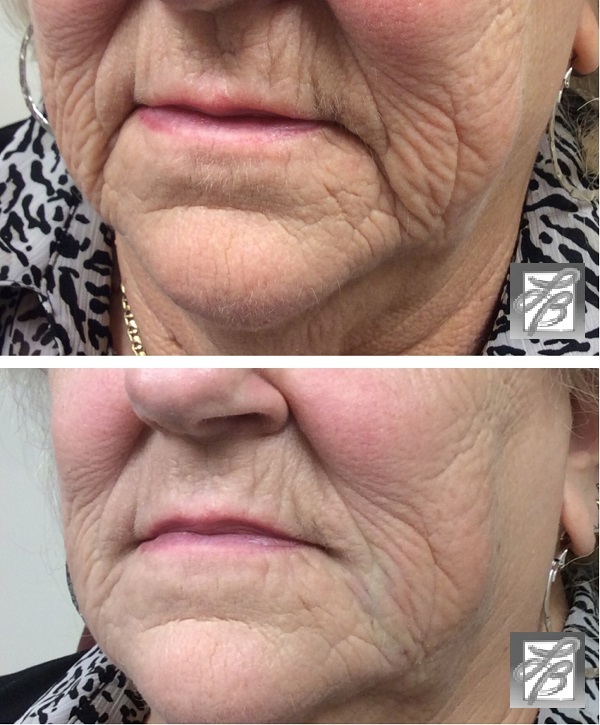 She had “deflated” in these areas. 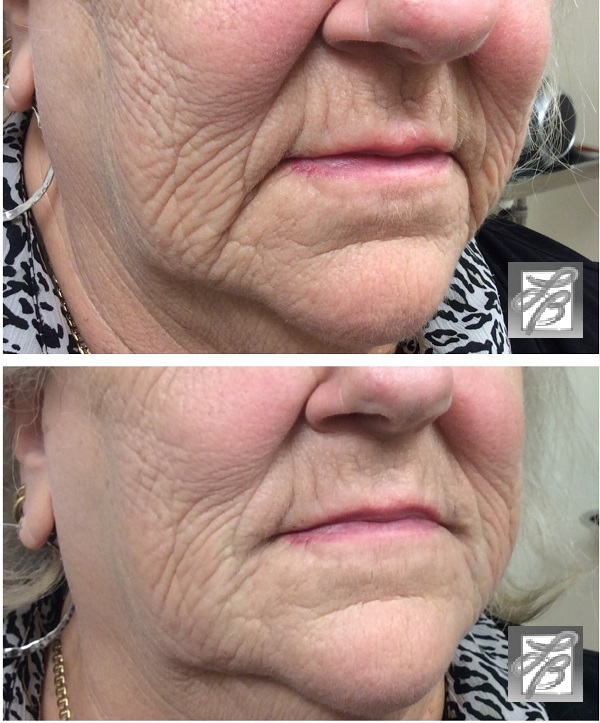 The bottom picture is immediately after “re-inflating” with dermal filler to the nasolabial folds, the marionette lines, peri-oral and chin areas. 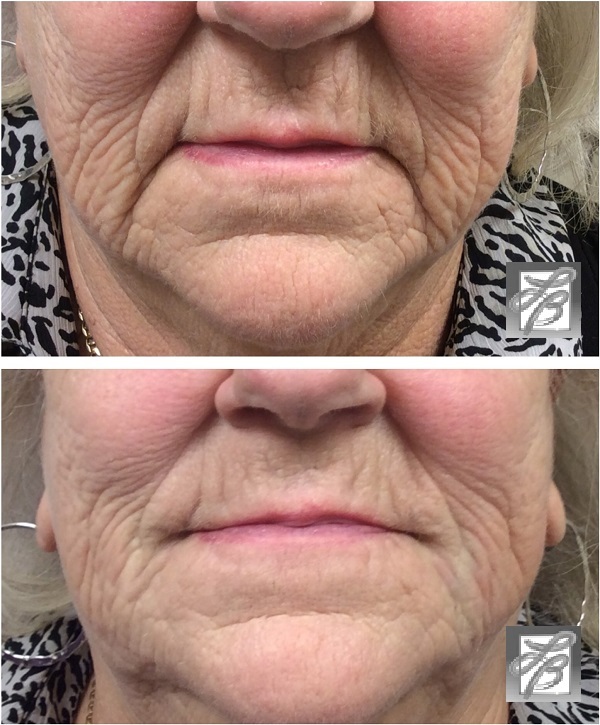 Dr. Bunin used Restylane Lyft to fill the marionette lines (from the corners of the mouth towards the chin) for this patient.